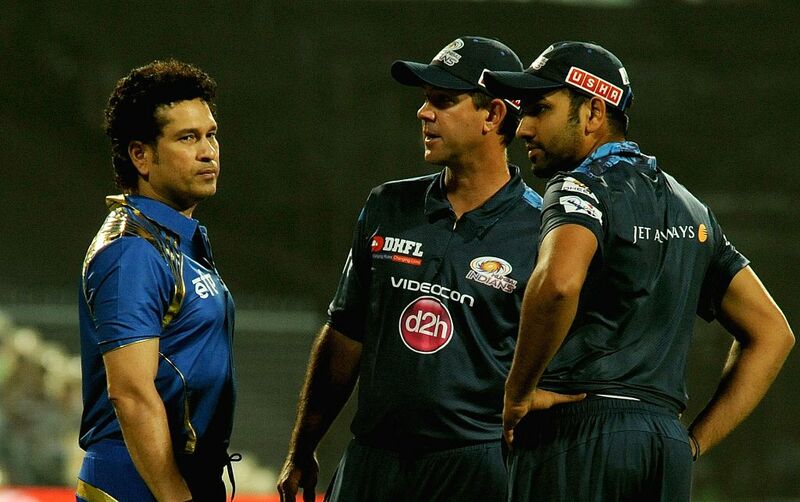 Kolkata: Mumbai Indians (MI) captain Rohit Sharma, team's icon Sachin Tendulkar and head coach Ricky Ponting at the Eden Gardens in Kolkata, on April 8, 2015. GeoSpa Awards 2019: Kriti Sanon’s cute outfit pics are a complete stunner! Malaika Arora out to sizzle the summer heat with this sensational swimming pic! Malaika Arora with this sensational swimming pic!